A Red Flag Warning is ahead for your morning, and the warm weather continues in your extended forecast. Fire danger is remaining high for the start of your Tuesday. 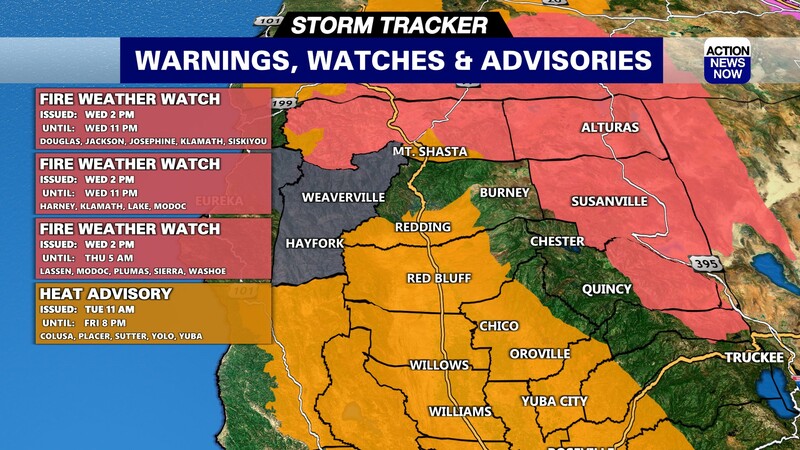 A Red Flag Warning is set to stay in place until 11am in the Foothills, and portions of the Sierra. Gusty North winds, and low humidity are the big issues contributing to fire danger today, but above average temperatures aren't helpful either. Winds are out of the North from 10 to 15mph, with gusts up to 30mph this morning. Winds are expected to become somewhat weaker this afternoon. Humidity has not recovered well overnight, and is expected to be dangerously low again this afternoon. Looks like we can expect humidity to dip into the 5 to 15 percent range later today. Temperatures are on the chilly side this morning, but will become very warm again for your afternoon. Valley areas are starting out in the 40's to 50's this morning, and mountain areas have dipped into the teens to low 30's overnight. Skies are expected to stay sunny today, and there doesn't look to be any changes overhead for the rest of the week. 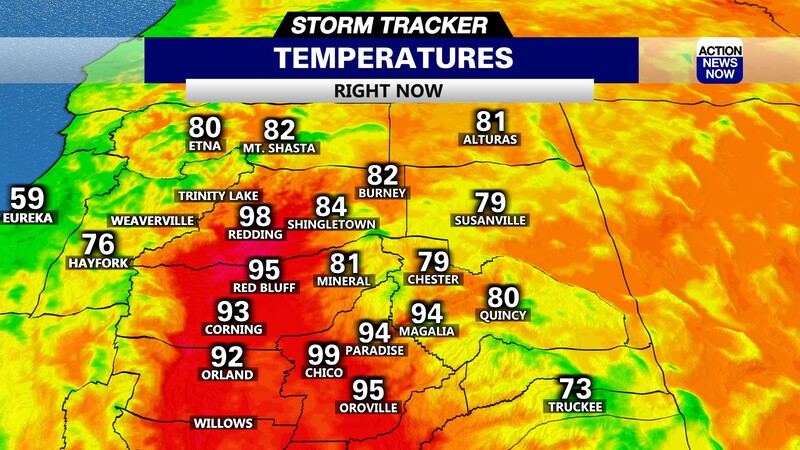 High temperatures are projected to top out in the mid to high 80's in the valley this afternoon, and mountain areas will range from the high 60's to low 80's later today. Winds will become lighter for the remainder of the week, but not much else is expected to change. Overnight lows will be very chilly, and daytime highs will stay above average. Valley areas are expected to top out in the mid to high 80's through your extended forecast. 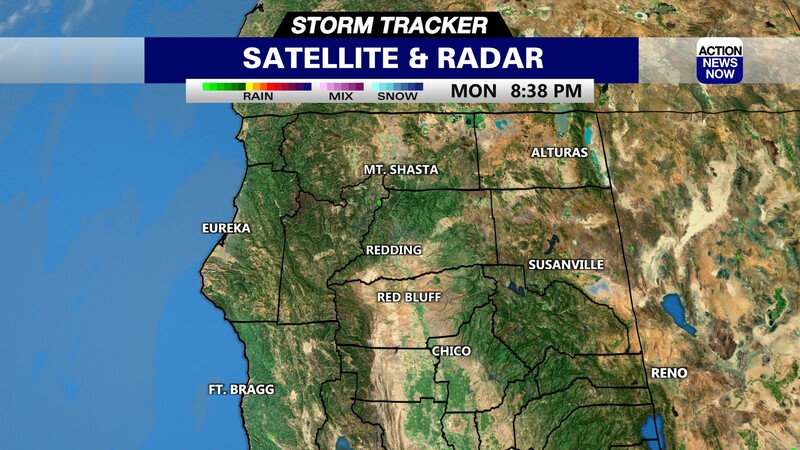 Sunny skies will persist through the upcoming weekend. There is a decent chance for a modest cooling trend to return towards the start of next week, but that will only dip us down to around average for this time of year. A slight chance for showers is in the forecast for the early to middle part of next week, but the latest models are hinting that showers will stay to our North.